Mapusa: In an unusual incident, a wedding reception was cancelled after the groom was trapped in the elevator of a hotel here on Friday. The incident occurred when Sandip Shirodkar had visited the hotel to oversee preparations of the reception party, barely hours before the function on Friday night. Shirodkar had recently married and had organized a reception party for his friends, relatives and well-wishers at a hotel in AltinhoMapusa. At the first floor, Shirodkar called for the lift to go to the party venue on the fourth floor. It is not clear what exactly happened, but sources said that after a while of pressing the button, he opened the grill door of the lift. This was when his mobile phone began to ring. Apparently not realizing that the lift had not arrived, he walked into the open space. 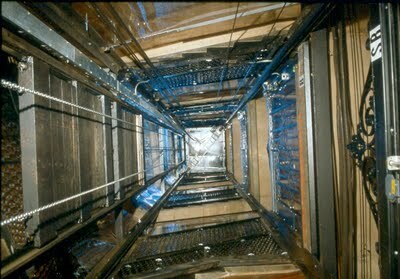 Sources said that he fell into the elevator pit from the first floor and remained there for almost an hour. An alarm was raised when the staff came to know of the incident and the fire and emergency services from Mapusa were called. Shirodkar was rescued and was shifted to the Goa medical college and hospital, Bambolim, as he suffered injuries to his backbone.